If you are a regular reader of my blog you’ll know that I use colour psychology to enhance my design process. When I meet new clients to take a full brief I ask them to put together a “mood board” before the meeting so that I can really understand what their personal style is and how this fits in with the colour seasons. This series of images, textures and objects provides a platform for dicussion which helps to bring out elements of the brief that might otherwise remain unsaid. When I worked with Fiona Humberstone at Flourish Studios to develop my new website, we went through exactly the same process so that we were sure that the design truly delivered the message I wanted it to. 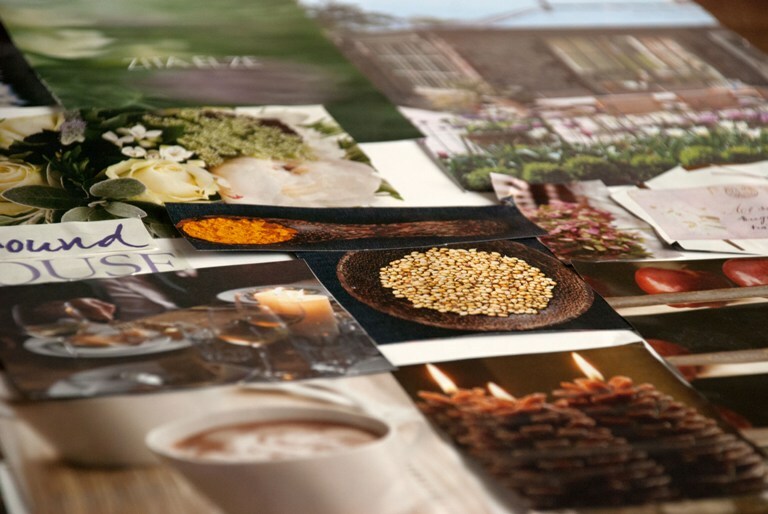 Mood boards are a really effective tool to clearly present the things that motivate and switch us on. I mention my website experience because I think it really demonstrates what I mean. Putting together the mood board below painted a very clear picture of me and my business enabled the Flourish team to develop a website that truly feels my own. 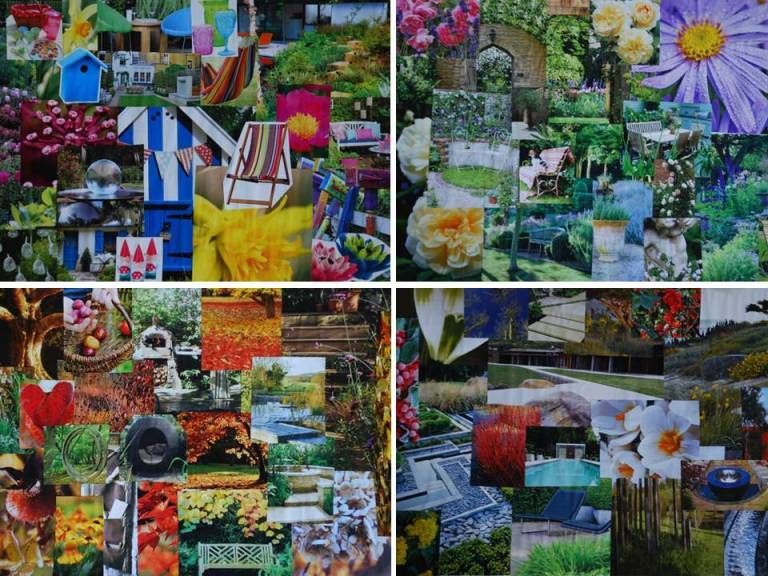 Using mood boards in the garden design briefing process works in the same way as it provides me with a snapshot of the things that motivate and excite my clients. 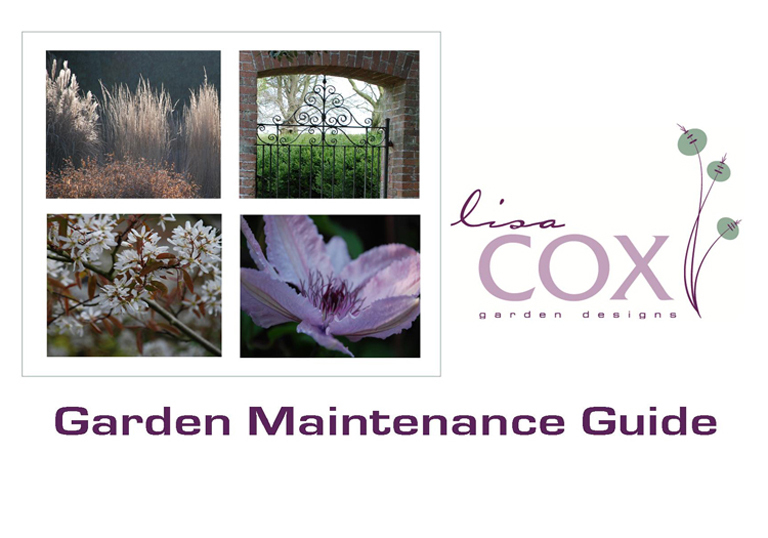 This picture not only provides information about their personal tastes but also gives me invaluable information about how their style and colour choices fit in with the world of colour psychology and in which direction the design of the garden should move.